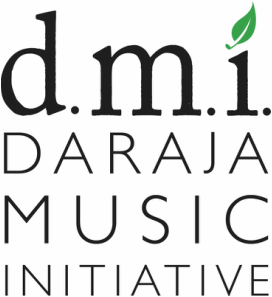 DMI Teaching artists work daily with students of Korongoni Secondary School, teaching music and performance skills. In addition, DMI partners with local conservationists in the Kilimanjaro Region, including The African Blackwood Conservation Project and Iko Eco. Students and teaching artists work side by side with partner organizations, raising awareness about valuable natural resources to promote a clean, sustainable environment. DMI and partner conservationists commit to environmental education and awareness by engaging in various community activities, such as tree planting programs at schools and orphanages, performance programs that promote the reduce-reuse-recycle initiative, and town trash clean up days. In 2013, DMI teaching artists and conservationists created a new partnership with the Police Academy in Moshi, Tanzania. The Police Academy is responsible for training future police, military, and community leaders who will work throughout Tanzania. DMI has made a partner – promise to send educators to the Police Academy to help further their mission to promote peace and unity in the country. In return, the Police Academy has promised to protect the hundreds of African Blackwood trees which have been planted on the Police Academy Grounds, and to teach their troops about the value of those trees. Students of Clarinets for Conservation class at Korongoni Secondary School will be chosen to work full-time with the Police Academy Band!